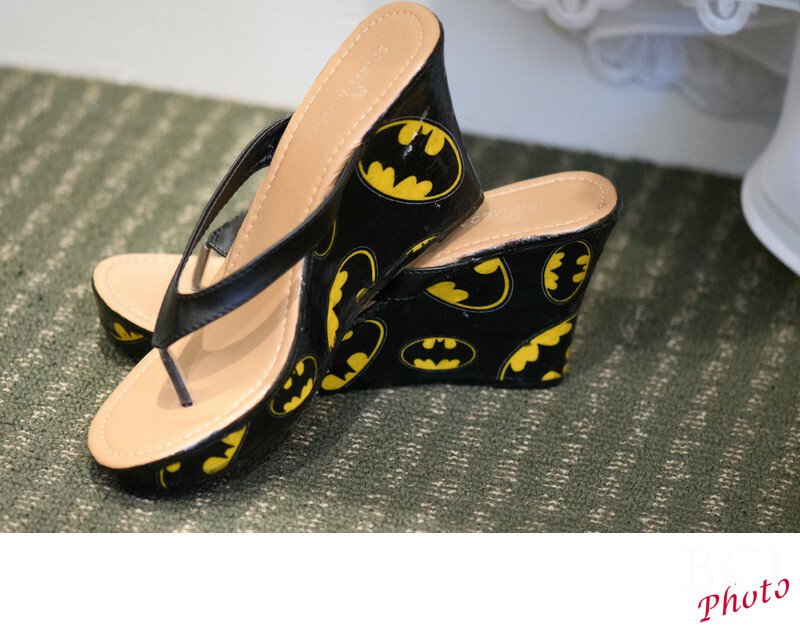 Everything that could be in "theme" was...including the brides wedding shoes, and even the wedding cake had batman on it. A little pinterest, goes such a long way! hahahaha, we love the details, and whatever you do with them...expect to see them commemorated in your wedding images just as it was here.